This is the moving story of devastating disability in a world of privilege. "Why is my story of bringing up a child with autism in any way different from all the other stories? The more I ask that question, the more reasons there seem to be. For a start, I don't know anyone with a name like Astor - and title to boot - who has told their story. Many people within the aristocracy still lock their skeletons firmly in the cupboard." 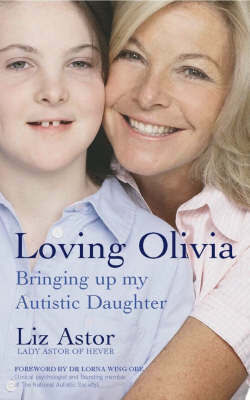 Liz Astor's honest and personal account - of coming to terms with the fact that things weren't quite right' with her daughter Olivia; of accepting Olivia's limitations while struggling to do and to get the best for her; of having to balance this daughter's needs with the needs of the rest of her extensive family; of fighting to raise public awareness of autism; of the myriad treatments, therapies and exercises that the author has been in able to put to the test and the results of which she shares; of feelings ranging wildly from deep despair and rage to intense happiness and pride - shows that there is much for us all to learn from those who suffer from this profound disability. "Olivia's Story" offers hope and inspiration for children like Olivia and those who love them.